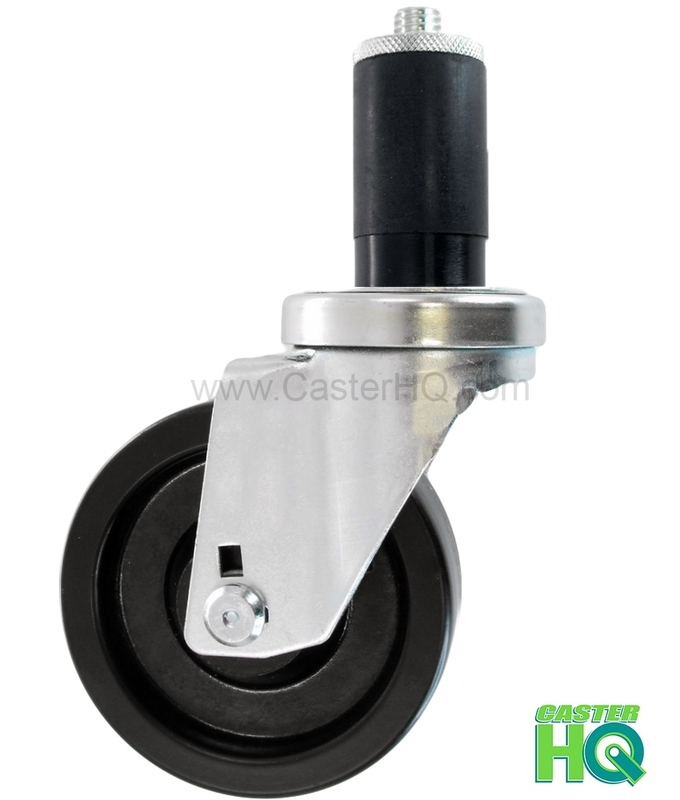 Caster HQ's ® 3" Expandable Stem Caster with a 1-3/16" Expanding Stem is our premium food service & institutional swivel caster Series LD; is made specifically for customers wanting the advantages of quality over budget; this series is made from heavy gauge cold rolled steel designed and formed for maximum durability, featuring hardened double ball raceways for added strength and extra long service life. The design also features a metal dust cap over the upper raceway of the swivel casters. Popular industries using these casters include: Food service & food processing, bakeries, institutions, hospitals, schools, laboratories, retail environments and are also used for material handling carts & trucks, and various other light medium duty applications requiring a higher standard in quality and functionality. Our Expanding Rubber Adapter Casters fit both 1-3/16" Square Tubing and 1-3/16" Round Tubing.